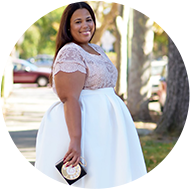 Locations: Various popular plus size boutiques and stores frequented by resident and visiting “chic” and curvy fashionistas. This year, to assist with your NYC shopping ventures, Full Figured Fashion Week™ and plus size fashion blogger and stylist Marie Denee (The Curvy Fashionista) have fashioned a plus size shopping excursion to take you inside the showrooms, boutiques, and designers who cater to your full figured curves! What does the Shopping Excursion entail? Cost: $100 in advance (before June 1st) includes a full breakfast, drinks, and snacks in addition to escorted executive coach travel throughout the city Space is extremely limited and on a first come, first served basis.